The students of Miss Porter's School donates $150 to be used as an annual scholarship. 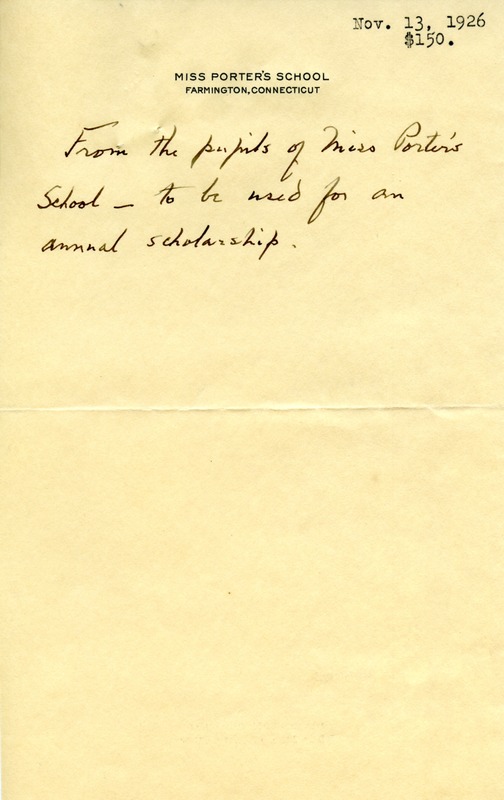 Miss Porter's School, “Letter to the Berry Schools from Miss Porter's School.” Martha Berry Digital Archive. Eds. Schlitz, Stephanie A., Jordan Brannen, Rachel Renaud, et al. Mount Berry: Berry College, 2012. accessed April 25, 2019, https://mbda.berry.edu/items/show/2980.